This week it was finally, officially my birthday! As you could’ve read in my post ‘Happy Birthday to Me’ I didn’t do particularly much on that day. Though tea and cake, plus a trip to the bookstore is always great! As you also know, my mom accidentally blurted out the presents I was going to get from my boyfriend. Unfortunately these awesome society6 presents have yet to show up. For some reason DHL hasn’t delivered them yet. And, since they were shipped internationally, we can only track them until they come into the country. After that… no idea what’s happening to them. They’ve been in the country for a week though. Hopefully they’ll get to me soon. A good friend of mine and her boyfriend came over yesterday for a quick visit. More presents! Haha. I did get the very awesome Harry Potter colouring book, as well as tea and chocolate! No better presents than books, tea and chocolate! Thank you! Now it’s back to regular life again. The company I was supposed to get a contract from is still being weird, so today I’ll be filling in some more applications to other jobs. Luckily it seems there are a few positions available again! In her post Students and the undesirable e-Book, Emily discusses the pros and cons regarding e-Book studying. Happy belated birthday to you! My birthday was last week as well. 🙂 We Aquarius are good people. Happy belated birthday to you as well! Yes! I did really like it. 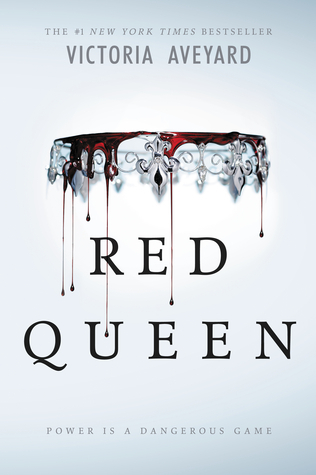 I wasn’t blown away by Red Queen, but thought it was a great read. I still have to catch up on some reviews, so it might be a while before it’s online. Happy Valentine’s Day and a very Happy Birthday to you. Better late than never right! Books, Tea and Chocolate sounds like a great birthday. And the Harry Potter coloring book.. Sounds great! I’m still debating with myself about buying one. The coloring book is absolutely gorgeous. I’m not sure if I would’ve bought it for myself, because it (like other adult coloring books) is a bit pricey. The cool thing is that there are photos of the films in the back of the book, for inspiration. Happy Birthday for this week! I finished Red Queen recently and really liked it! I hope to read Glass Sword soon! Have a great week and happy reading! I would love to get my hands on Glass Sword, but I’m afraid that might be a while, seeing as I still have a pretty bit TBR, which even though I try, only seems to be getting bigger. It’s annoying when international shipping takes that long. Hope you had a good birthday nonetheless. The most annoying part is that it’s been in Germany for a week now and I still haven’t gotten it. Apart from that though, my birthday was pretty good.